Fast and easy. Move your page to another document. You created a page within your Style Guide. Later on, you notice that this page should be in another document in the upper navigation. Don`t worry. 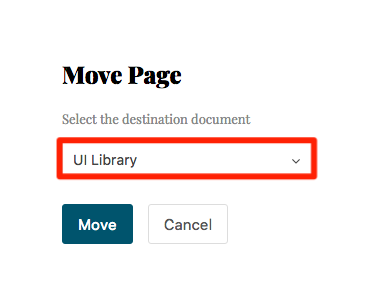 You can easily move it over with the "Move Page" feature to the other document. I have a page "About Monobrand" and wanna move it over to the document called "UI Library". To do that. 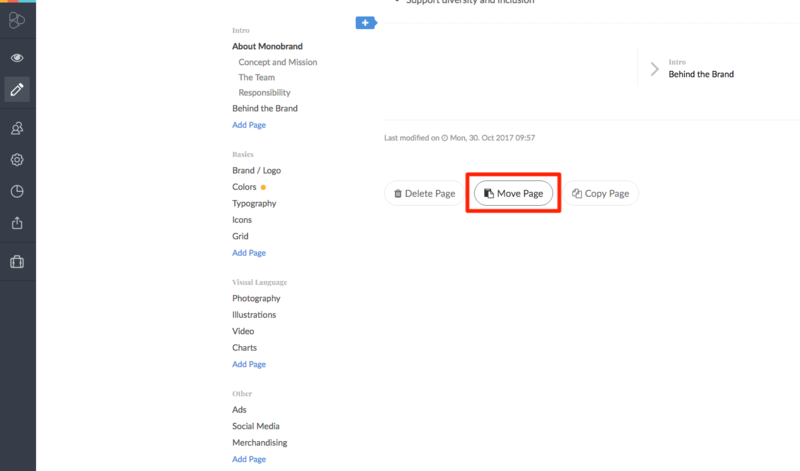 First, start the Edit Mode by pressing the pencil and the Power Bar or use the shortcut CMD + E.
Now you will see that there is a button called "Move Page" at the bottom of the page. Now choose which document you want to see the page. By clicking "Move" the page will be moved over immediately.